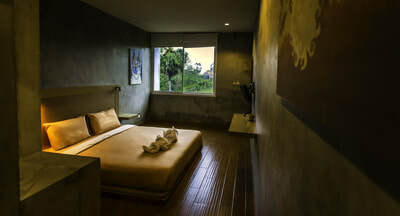 There are 5 deluxe rooms available (2 double rooms and 3 twin bed rooms). Each room has its own TV, air conditioning, wireless wi-fi connection and en-suite toilet/shower room. Two of the rooms have space for extra bed/mattress if required. Rooms are made up daily by housekeeping and clean bedding provided twice a week. 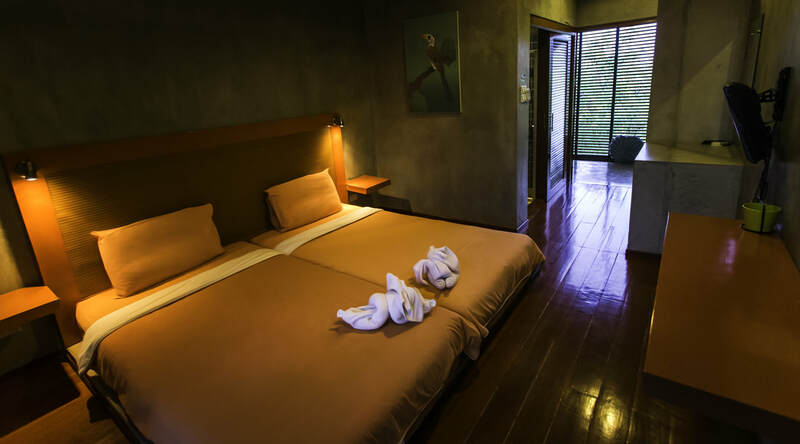 All walls throughout the building including the guest bedrooms feature unpainted cement walls to give a special rustic feeling to a modern building. 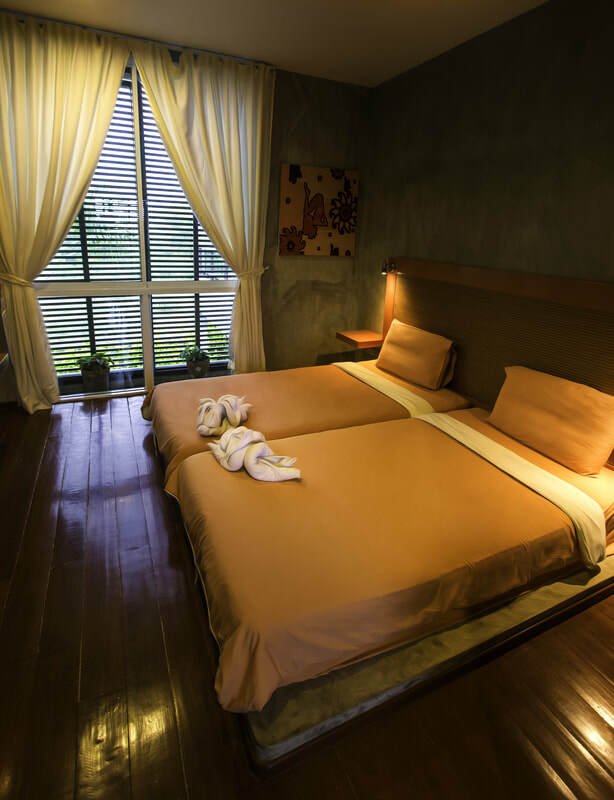 All guest rooms have hardwood flooring and sliding wooden trellis to the windows. Access to the guestrooms is via the stairs in the open plan dinning room. The three twin rooms overlook the swimming pool as does one double room, the other double room has a view East towards the beach. (for a better view of the sea to the East and mountains to the West guests have access to the roof-terrace which is a great place to relax and take in the views in the evening).